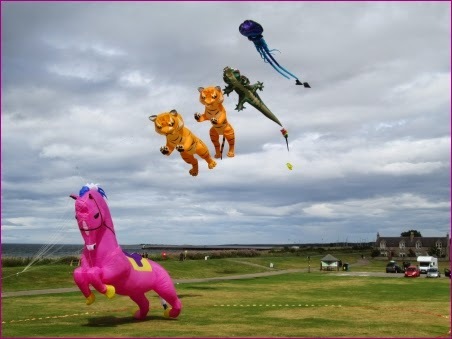 Another assortment of giant kites were flying on the links today. Nearby locals and holiday makers were also flying smaller kites. Absolutely brilliant. It really does brighten up the town.